Yarn crafts! Do you also enjoy creating with yarn? It is such a versatile craft material, and not too expensive to craft with! 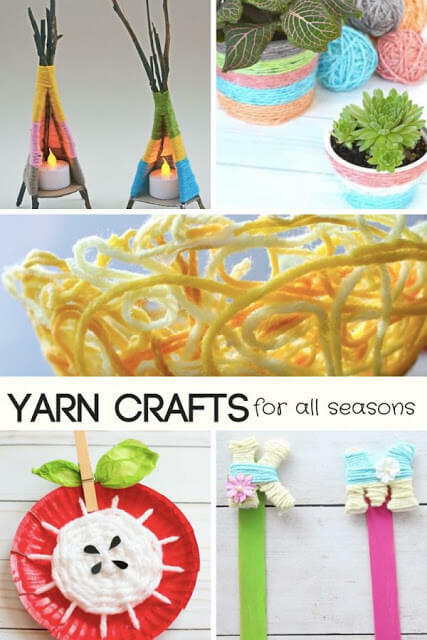 Here are 30 yarn ideas to get you crafting throughout all the seasons of the year! 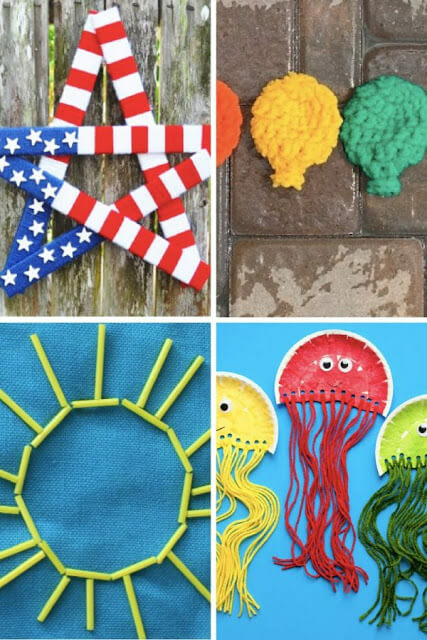 You kids will love creating paper plate jellyfish and show them how to sew a sun! Crochet water balloons they can play with throughout Summer! Add a patriotic touch to your front door with this pretty yarn wrapped 4th of July star. 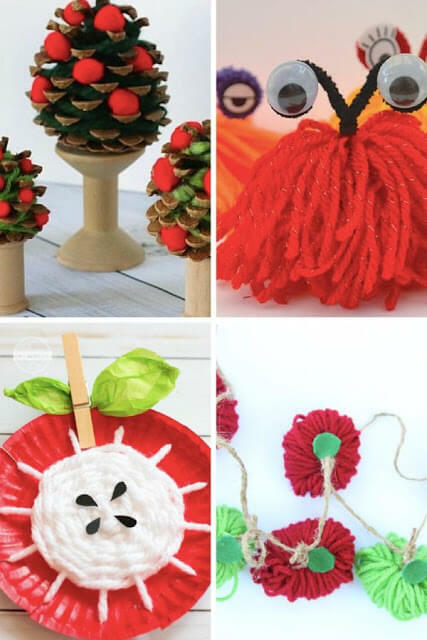 This weaving apple craft looks like fun as well as this apple garland. How cute are these yarn monsters? Make a glow in the dark spider web and learn about spiders while you do it too. Add some pinecone apple trees to your decor for Fall! Christmas crafting idea: yarn wrapped Christmas tree, or, use white yarn to make a snowy version. Pinecone ornaments are just beautiful and you can decorate it as you wish. Teach your kids to sew with this Sewing for Valentine’s Day project. And make Winter decorations like sticky yarn snowflakes, easy enough for young kids to participate too! Learn about Hispanic heritage and make yarn birds & butterflies inspired by Mexican artists. 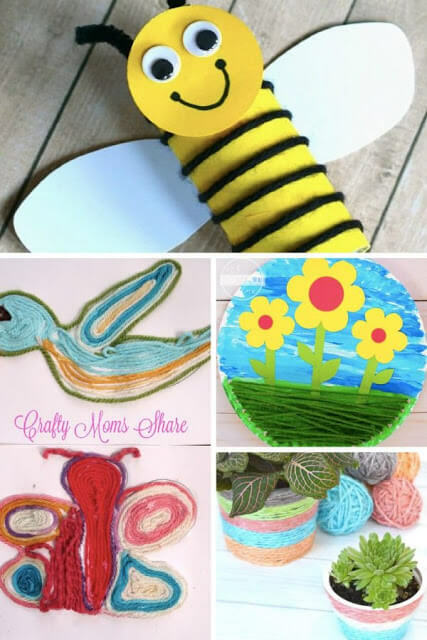 Experiment with yarn dying and give your pot plant a makeover.Use cardboard rolls to make adorable bees or craft sticks to make butterflies! A paper plate and yarn created this lovely flower garden craft. 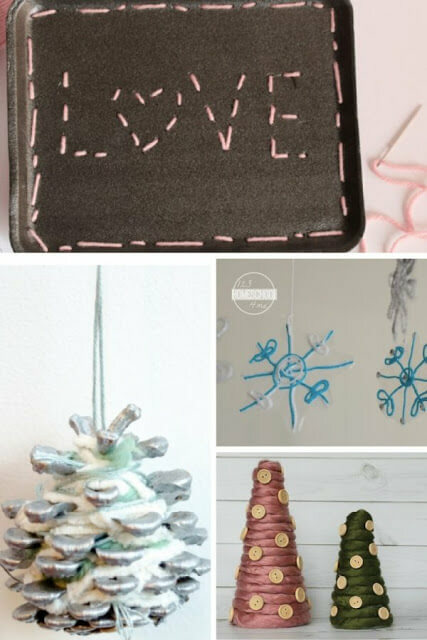 Also check out all these yarn ideas, perfect for ALL YEAR ROUND crafting! 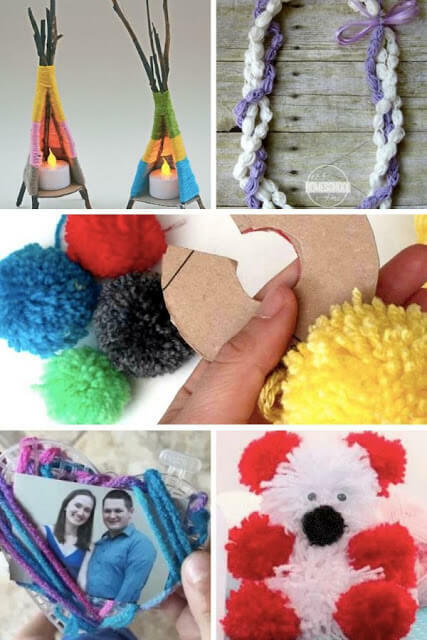 So many yarn craft ideas for you and your children to make every season a crafty one! Which project will you try first?